The Planet Modular Tool System allows builders to perfect transitions of any shape and size. 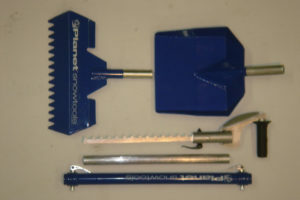 The kit includes two handles with quick release fasteners and extensions enabling users to increase the handle length as necessary. Two 28-inch rake heads are included with your choice of three tooth configurations: dull, sharp and gator. Aluminum shaping shovelheads are available in 12.5 and 25-degree angles. 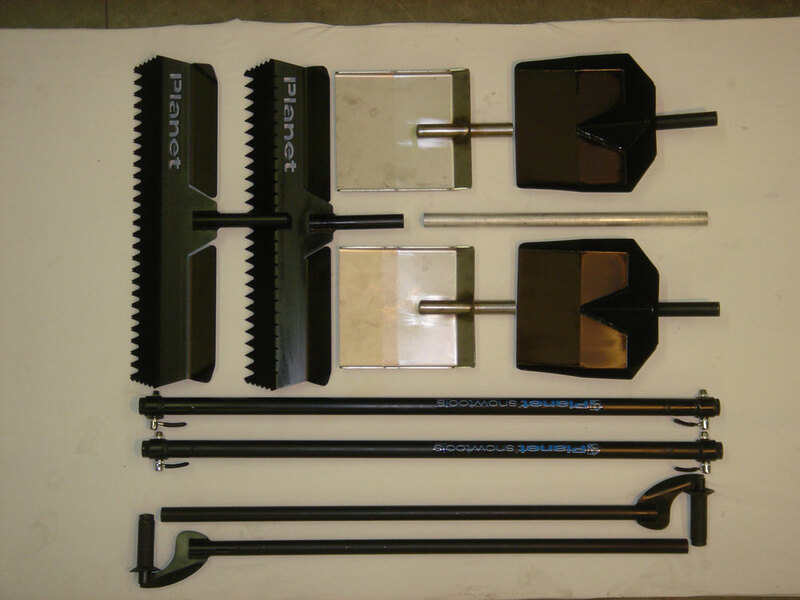 The system is equipped with two transition shovelheads in 5, 10, 15 or 20-degree patterns. 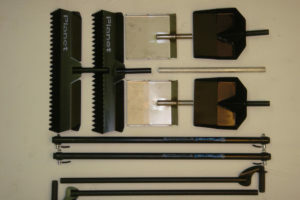 Planet also makes a set of tools for the backcountry enthusiast who wants to take the precision of Planet shaping to the next level of off-the-grid riding. 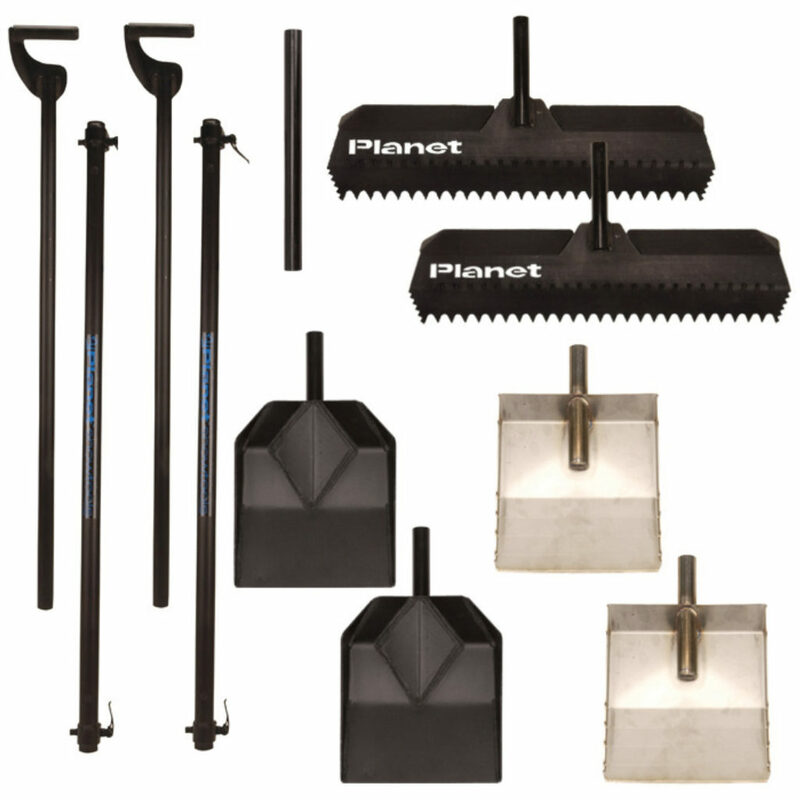 The Kicker Shovel is truly an innovative tool with a light and compact handle that telescopes from 2 to 4 feet. 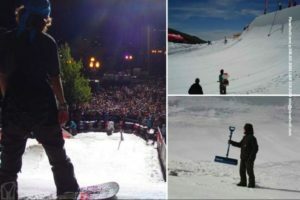 The unique design of the Kicker Shovel is so strong that it outperforms any avalanche shovel on the market and is ideal for backcountry jump building. 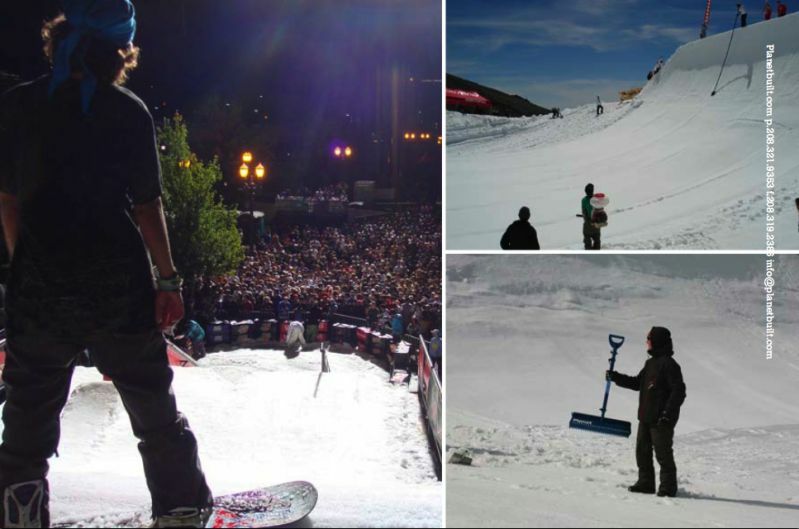 The Kicker Pack allows for perfection of any backcountry feature. It includes a telescoping handle 2 to 4 feet, quick release connections, snow saw, shaping shovel head and a 16 inch rake head. Additional telescoping handles can be added to complete any size transition.